Just as U.S. drinkers might be surprised to learn baijiu is the world’s top-selling spirit, drinkers in China might raise an eyebrow to news that baijiu brands are being created stateside. 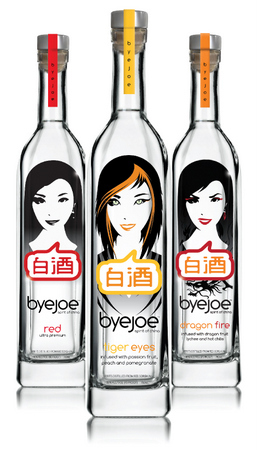 Matt Trusch, who drank his fair share of baijiu over a 15-year stint in Singapore and Shanghai, returned to the United States in 2009 and created the brand byejoe, which offers a trio of products, including infusions with dragon fruit and chili peppers and with peach, pomegranate and passion fruit. In this first part of a two-part interview, he talks about the “Four P’s” he considered when creating byejoe. The second part, coming in a few days, will cover his target audience, his strategy for tackling the market, and his method of taking base baijiu from China and refining it in the U.S.
More from Matt Trusch to come. Note: You can also follow World Baiju Day on Facebook here or Twitter here.